For the fifth consecutive year, Pool and Spa News has recognized East Windsor, Conn.-based Aqua Pool and Patio as one of the top 50 pool builders in the U.S. Ranked number 14 on the 2016 edition of the list, Aqua Pool and Patio has affirmed its status as an industry leader. In compiling the annual list, Pool and Spa News takes a comprehensive approach to scoring. 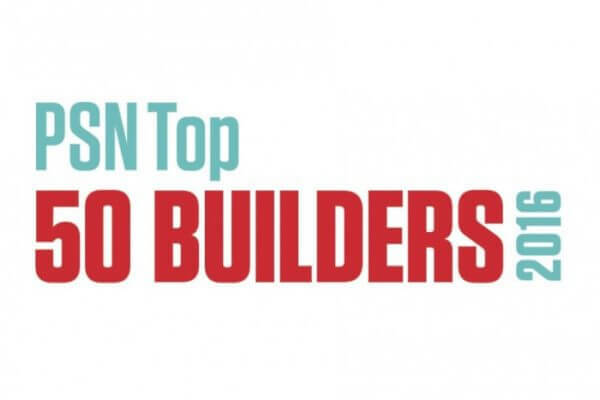 Builders are ranked based on five different criteria: residential construction revenue, employee training and retention, involvement in organizations both within and outside of the industry, philanthropic community involvement, and an active and engaging web presence, including social media. While revenue is the most heavily weighted factor, the other four criteria were incorporated in recent years as a way to recognize the many elements that contribute to a company’s success among its customers, community and the industry as a whole. Pool and Spa News reported that Aqua Pool had earned over $4.5 million in residential construction revenue. The company also ranked among the top 10 for high-end construction, with an average residential pool price of $85,700. In addition to its financial success, Aqua Pool’s inclusion among this elite group of pool builders recognizes the company’s commitment to its 55-member staff. Aqua Pool has been family owned and operated since 1970. Many employees have worked for the company for several years, creating a team that is committed to quality work, innovation and customer satisfaction. In addition to its repeated designation as one of the top 50 pool builders in the country, Aqua Pool has been honored with several other awards, including the Service Company of Excellence Award in 2008 and 2010, and has been highlighted by numerous publications, such as Luxury Home Design magazine. Visit https://aquapool.com to learn more about this highly respected leader in the pool and spa industry.